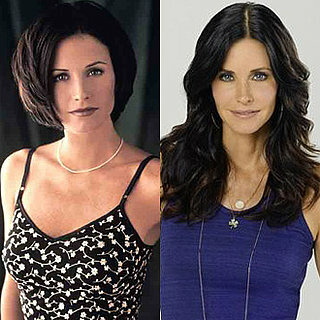 See the gallery for quotes by Courteney Cox. You can to use those 5 images of quotes as a desktop wallpapers. I think life is really good. I want to change a lot. I'd feel better about myself if I did stomach crunches, but I don't. I'd like another child, and maybe if it doesn't work out, I'll adopt. I'm a big laser believer - I really think they are the wave of the future. I'm kind of all over the place, and I need grounding. I'm not a big clothes person. I'm not a housewife in any way. I'm not a passive person by any stretch of the imagination. I'm not fake in any way. I'm not going to deny it. I'm a neat person, there's no question. But I don't become obsessed with it. Is marriage for ever? I think you get married with the intention that it will be, but who knows? 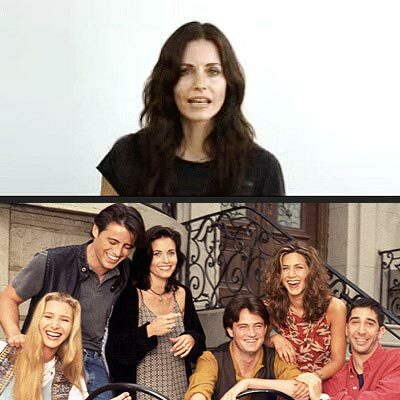 Much more quotes by Courteney Cox below the page. It's not like I let people do things for me, so I guess you can call me a control freak, or you can call me passionate. It's so easy to grow apart; marriage takes work. Oh, I do get lonely, yes. So many people have so much trouble having kids. Some people were offended by a show about cougars. Some things never change and the intriguing things you fall in love with will become the things you don't like. Well, actually, plucking my eyebrows is more of a hobby than a grooming tip. What I wish for myself is that I could be the kind of person who just goes, 'This is what I need,' and doesn't feel bad about it. When people start messing with their foreheads and can't lift their eyebrows, that's weird. You know, my mother's beautiful, my dad was a really handsome man, and there was a lot of talk about looks when I was growing up. You never have to guess where you stand with me. I think every relationship has a point where you stop and reevaluate. Are you happy? Have you grown together or apart? What do you share interests in? I think that's a normal thing to do, but it's so much harder when it's done publicly. I don't think I would ever quit acting, but there are other things I am interested in. I wanted to be an architect, and I wish I knew more about landscaping. I don't think I'm too thin at all. I understand when people say, 'Well your face gets gaunt,' but to get your bottom half to be the right size, your face might have to be a little gaunt. You choose your battles. I have a lot of glass in my house, and I remember saying as a joke once that I clean my stuff with Windex while my friends are over, but then I found myself actually doing that the other day. It's horrible. I would like to do a part that would stretch me. In America it seems to me that you just take your clothes off and that helps, but I wouldn't want to do that. One trick I swear by: I pour a little neroli or lavender oil onto a hot towel and use it to wipe off my makeup. It opens up my pores, and then my face cream sinks in better. Sometimes I use Botox. Compared to most, I use it very sparingly. One time I did too much, though. I feel weird if I can't move my face, and that one time I overdid it, I felt trapped in my own skin. When David Arquette and I got engaged we started therapy together. I'd heard that the first year of marriage is the hardest, so we decided to work through all that stuff early. When I was a kid I didn't feel like I fit in because - this is really silly and I probably shouldn't say it, but, I didn't think anything was funny. So I used to go home and literally cry to my mom and my step-dad at the time and I didn't think anything was funny. I couldn't laugh. A lot of my humor does come from anger. It's like, you're not gonna pull one over on me - which is pretty much my motto anyways. I don't have time for superficial friends. I suppose if you're really lonely you can call a superficial friend, but otherwise, what's the point? I'm at peace with myself and where I am. In the past, I was always looking to see how everybody else was doing. I wasn't competitive, I was comparative. I just wanted to be where everybody else was. Now I've gotten to an age when I am not comparing anymore. Aging gracefully is one thing, but trying to slow it down is another. I've got some great guy friends. They can start out as crushes. But when you realize something isn't going to happen, you make a choice whether or not the friendship is worth it. And it usually is. Then you can laugh about the fact that you used to have a crush on him or he had one on you. I'm a gemini, and I get so bored so easily. I mean, I have moved six times in the last eight years. There's no doubt that motherhood is the best thing in my life. It's all that really matters. As you get older, you find that everything looks better more natural! Botox? I think it's fantastic and also horrible. I don't find the whole 'cougar' word that offensive. I don't like to go out in general. I don't like to go to parties. I don't like venison or sushi - I don't want to eat what some people think are 'luxurious' foods. I don't use a lint brush or anything, and I don't iron, but I could easily pick lint off of someone else. I get pregnant pretty easily, but I have a hard time keeping them. I guess Pumas are in their 30s. Cougars in their 40s... Jaguars are 50s, and Sabretooths go into the 60s, right? I just am a snob when it comes to humor. I like TV. It all depends what it is.